Who is the company for? If you are looking for an objective Bes Utilities review, then you are in the right place. If you have heard of the company, it probably hasn’t been mainly positive, considering the news reports over the last few years involving various lawsuits and negative reviews on trusted websites like Trustpilot. But is it all right? Is Bes Utilities a company that deserves a second chance? In this review you will find an unbiased Bes Utilities review, using facts, figures and evidence. 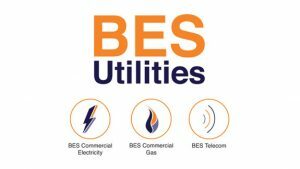 If you haven’t heard of Bes Utilities before, it is the name given to a group of organisations founded in 2002 and based in Fleetwood, Lancashire. The individual businesses are called Business Energy Solutions Ltd, BES Telecom, BES Commercial Gas, and BES Commercial Electricity Ltd. The company’s mission is to deliver a high standard of utility services to small and large businesses across the UK. The company claims to have competitive contract tariffs, a caring and compassionate team and says they put their customers first. To skip right to the customer’s reviews of Bes Utilities, click here. Bes Utilities primarily offers electricity and gas to commercial properties and offices. 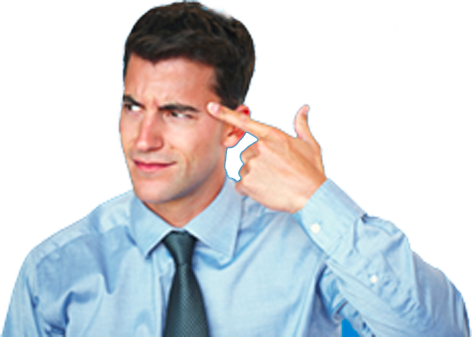 Many suppliers like this usually do not have any quotes on their website or even an average, because your quote will rely on many individual factors that vary enormously depending on your circumstances. A large company with 200+ employees will need a very different quote than a smaller three-person microbusiness, and companies can be treated differently, in general, depending on their size. For instance, Ofgem is protecting smaller businesses and benefit from energy suppliers giving them transparent information and to be accessible. Although there are no indications about how much your bill might be, considering that every quote needs to be bespoke, there is some information about what Bes Utilities offers to make sure that your statement is accurate. Bes Utilities has said that they aim to provide every customer with a free smart meter, to leave estimated billing behind. This would also mean that their customers would likely learn a lot more about their energy usage, which will result in being more energy efficient. They have also claimed competitive prices. Bes has claimed that they keep their prices low with customers in mind, so they have had things such as price freezes which would maintain the cost of gas the same throughout the year apart from in the winter. Customers can also benefit from the budget payment plan, which is for companies that have an AQ that is below 293,000 KWh. This ‘AQ’ number is calculated by taking your predicted consumption and dividing it by 12 which will give you a monthly amount. Then it is usually taken from what the industry holds for your meter, based on your historical use. This will be calculated annually to reflect any variations and patterns, so your direct debit will be decided by this number. To get your bespoke quote from Bes Utilities, you need to have this information to hand. You should compare your quote with other suppliers to ensure that you are getting the best deal, and an objective Bes Utilities review to see if this company is right for you. Although BES Utilities do not offer this service directly, being a utility company, for energy brokers that want to sell one or more of their products. They are directed to Commercial Power LTD, who partners with brokers and energy suppliers to deliver products through them. Note: According to reports, BES Telecom finished as of 2018. It is essential to make sure that Bes Utilities matches your company message. Unfortunately, the customer support from Bes Utilities has been extremely detrimental for many customers, like this Bes Utilities review on Trustpilot. All that are with or thinking about joining BES I have just had a demand for money for a bill I have paid and in the demand they say if you don’t pay it they will add £50 to it. Their customer service is by far the worst I have ever dealt with. No one should let this company have their business. For some, this has resulted in a hefty bill, as some companies charge 30p a minute. Bes Utilities does not have the best reputation, with a 1-star rating on Trustpilot. They are often in the middle of legal issues, like a raid by Ofgem in 2016, and they are reportedly suing trading standards for £8.6 million. This is after winning a separate legal battle with two individuals who Bes Utilities claimed ran a ‘hate campaign’ against the company. The company have been great and helpful since I moved into my salon. Can’t believe a company who treats customers like they do still exist in this day and age. Took over a business which we’re using this company, I decided to go elsewhere. This is because their rates are astronomically high compared to competitors. Bes Utilities might be useful for huge companies that can afford to spend money on energy brokers or time comparing suppliers. This will ensure that they receive the best quotes available. You should always ensure you compare business energy providers to get the best deal on your energy needs. While it is true that Bes Utilities does have some issues that need to be fixed, this company does have a lot of promise in terms of the wide range of services they offer and competitive pricing.